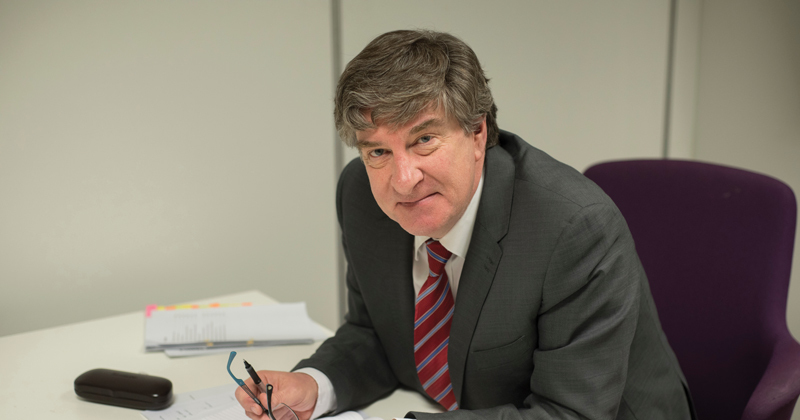 Sir David Carter will help train academy leaders in a new role after standing down as national schools commissioner. Carter has joined the newly-merged Institute for Teaching and Ambition School Leadership as executive director of executive leadership. Carter, who announced he was stepping down as NSC in April, will provide support for executive heads, chief executives, and governors serving pupils from disadvantaged backgrounds. He will also be “working with key partners in the sector to understand how we can further support and develop educators at all levels”. Carter said the position would allow him to “continue to play a role in improving educational outcomes for children in England”. He tweeted his focus is on CEO and governor development, as well as a “new model of MAT review so that we share more of what is working in our trust system and supporting better education for children”. It was announced in July that the IfT would merge with ASL into a single charity. The Institute for Teaching was officially launched by education secretary Justine Greening last November, and offers teachers who want to train as teacher-educators the chance to sign up for courses developed using expertise from a range of fields. The IfT originally planned to set up a higher education institution, and was previously involved in coordinating failed plans by academy chain Ark to scale-up a new teacher training partnership in the north of England. ASL, formed in 2016 after the merger of charities The Future Leaders Trust and Teaching Leaders, runs programmes for school leaders in both primary and secondary schools across England, including national professional qualifications at every phase. The new organisation will have a single focus – to “support teachers and school leaders to keep getting better so that all their pupils, regardless of background, get a great education”.